Winter Garden continues to grow in popularity with buyers looking for new homes near Orlando, thanks to a convenient location near area employment centers, new schools, shopping, services and recreation. Whether you’re a first-time buyer or seeking the best of the Florida lifestyle, you owe it to yourself to see Cypress Reserve, our new home in Winter Garden. Enjoy the ambience and charm of a traditional neighborhood and walkable streets in a charming small-town setting. Located just 20 miles from downtown Orlando and even closer to job opportunities at Disney, Universal Studios and Sea World, Cypress Reserve offers easy access for commuting, traveling and entertainment. 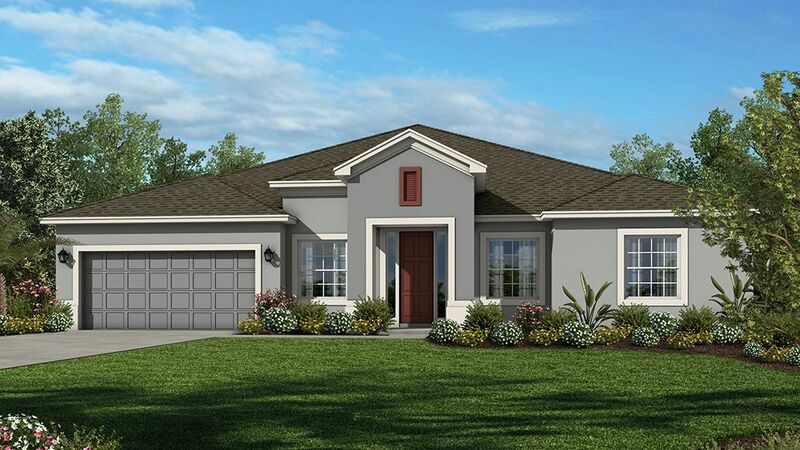 If you’re looking for new Winter Garden real estate, Cypress Reserve is an excellent opportunity.Home Features Choose from 65' or 75' floor plans, two of our most popular new home collections in distinctive architectural styles and thoughtfully designed one- and two-story floor plans. Each includes an array of standard features that will enhance your enjoyment and the value of your home for years to come. Plus, you can personalize your home with your choice of options and upgrades from our Design Studio.Plans range from over 2,200 to nearly 4,300 square feet with 4 bedrooms, up to 3.5 baths and up to 3-car garages. Winter Garden will offer:Conservation homesitesWalking distance to both Sundridge Elementary and Sunridge Middle Large designer kitchens include GE gas appliances and ceraminc tile flooringLuxurious owners’ suites include spacious master baths with soaking tubs and walk-in showersDesigner landscape package includes fully sodded home sites and fully integrated lawnsEnergy-efficient materials and constructionCommunity Features This charming little city grew up around Florida’s agricultural industry and retains its quaint, welcoming hometown atmosphere.